This salmon would be perfect with grilled or roasted asparagus. If you are lucky enough to be getting seasonal spring produce already, this is also a great protein to go with almost any young greens, or simply enjoy with your favourite fresh leafy salad. Melt cooking fat in skill over medium-high heat. Season salmon with sea salt & freshly ground black pepper. Cook fish portions in skillet, skin side down, for 2-3 minutes. Cover and cook for an additional 5-6 minutes. 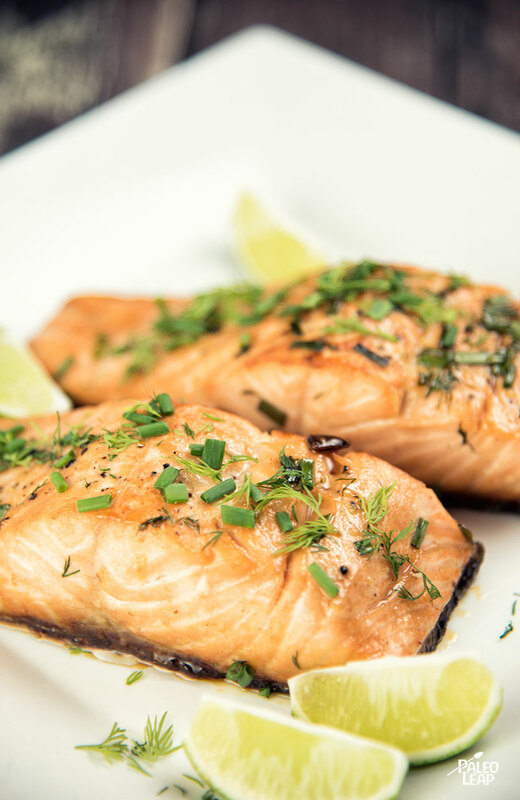 Add maple syrup and balsamic vinegar to skillet & cook for another 2-3 minutes, basting the salmon continuously with the sauce for the remainder of the cooking time. Sprinkle the minced chives & dill over the salmon. Serve with lime wedges.